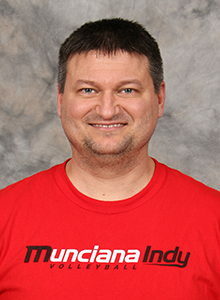 Curt is currently in his 5th year with Munciana Volleyball Club and has been a coach at Heritage Christian High School for the last 14 years. His previous club coaching experience includes Indy Juniors, IVA and Vision. Curt lives in Fishers with his wife, Cindy, and daughter, Madison, who plays volleyball at the University of Saint Francis in Fort Wayne, IN.